Environmental engineers from the Duke Center for the Environmental Implications of NanoTechnology (CEINT) have reported that gold is not always the shining example of a biologically stable material as it is presumed to be. In a nanoparticle form, the metal which is normally very inert, stable, and noble is in fact broken up by a microbe found on a Brazilian aquatic weed. Although the outcomes of the study do not offer dire warnings in relation to any obscure toxic effects of gold, they do offer a warning to scientists on the way it is used in specific experiments. The research has been reported in the Nature Nanotechnology journal on August 13, 2018. CEINT scientists from Duke, Carnegie Mellon, and the University of Kentucky were performing an experiment to analyze the impact of the nanoparticles used as a commercial pesticide on wetland environments in the presence of added nutrients. Despite that real-world habitats usually receive doses of both fertilizers and pesticides, the focus of a majority of the research works on the environmental impacts of such compounds is only on a single contaminant at a time. 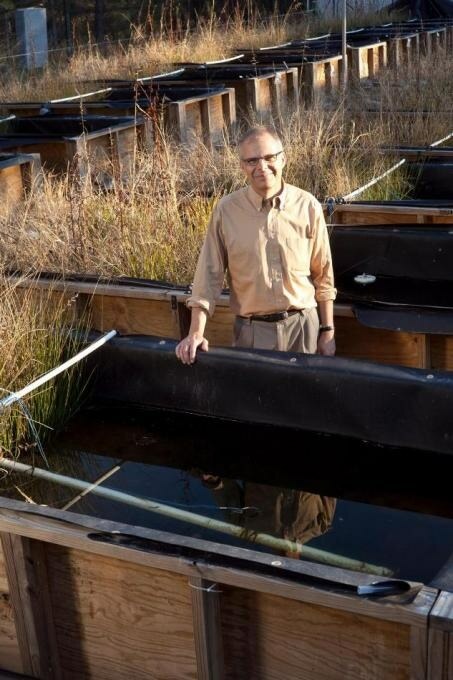 The scientists released low doses of phosphorus, nitrogen, and copper hydroxide nanoparticles for nine months into wetland mesocosms—small, manmade structures that contain different plants and microorganisms intended to represent a natural environment with experimental controls. Their aim was to observe where the nanoparticle pesticides ended up and to study their impacts on the plant and animal life inside the mesocosm. They also released low doses of gold nanoparticles as tracers, presuming that the biologically inert nanoparticles would be stable while traversing through the ecosystem. This would assist the researchers in interpreting data related to the pesticide particles that partly dissolve by revealing them the behavior of a solid metal particle within the system. However, when the scientists attempted to investigate their results, they discovered that a majority of the gold nanoparticles had already been oxidized and dissolved. Following further investigation, they found the perpetrator—the microbiome that grew on a common Brazilian waterweed known as Egeria densa. Various bacteria secrete chemicals to fundamentally mine metallic nutrients from their surroundings. The metabolism of the bacteria found on the E. densa was increased by the nutrients added as part of the experiment, which made them catalyze the reaction to dissolve the gold nanoparticles. Although this process is not harmful to humans or other animal species in the wild, when scientists formulate their experiments by presuming that the gold nanoparticles will stay intact, the process can upset the interpretation of their results. The assumption that gold is inert did not hold in these experiments. This is a good lesson that underscores how real, complex environments, that include for example the bacteria growing on leaves, can give very different results from experiments run in a laboratory setting that do not include these complexities. This study was carried out at the Duke Center for the Environmental Implications of NanoTechnology (CEINT), which is supported by the National Science Foundation and the Environmental Protection Agency under NSF Cooperative Agreement EF-0830093 and DBI-1266252.